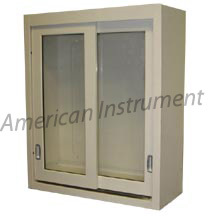 简介:Duralab wall cabinet with sliding glass doors. Dimensions: 36" high x 18" wide x 12" deep. Photo is typical.